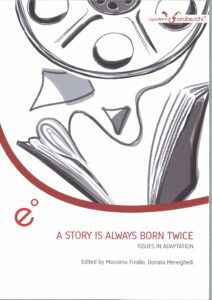 We are happy to announce the launch of the book A Story is Always Born Twice. 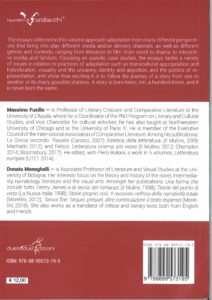 Issues in Adaptation, edited by PhD-COMP professors Massimo Fusillo and Donata Meneghelli. All contributors to the volume are PhD-COMP students. Esta entrada foi publicada em NEWS por phdcomparatistas. Ligação permanente.